The Rollé group owns 16 kilns where our European oak, ash and hornbeam is dried. These kilns are computer controlled and our software is based on our 50 years knowledge of drying. With our drying software we can keep track of all factors important for drying. Humidity, temperature and drying time can all be set and altered, to provide the best drying conditions possible. Also during drying in our kilns we apply our rule that it’s not speed of drying that matters, but the quality we achieve with our drying process. Quality being straightness and color of the boards, but also being the correct moisture content. 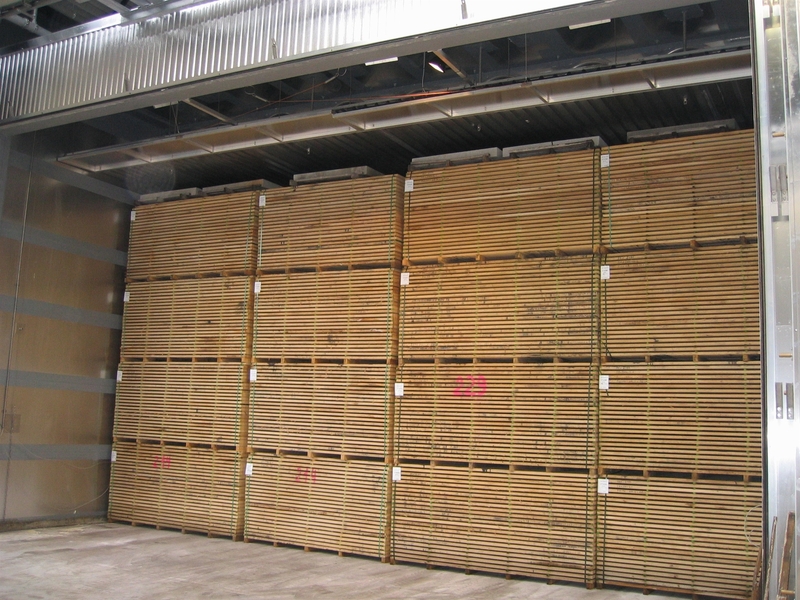 All our wood is dried to a moisture content of 8% to 10%. However upon request we can change the moisture content to for instance 7%. Before unloading of the kilns the exact moisture content is being controlled. For this inspection we have a special Darr test oven. This oven is very precise and generates a very reliable value. Our 16 kilns are divided over our different locations. At our headoffice in Schijndel – the Netherlands we have 8 drying chambers with a total capacity of 1000m³. Our yard in La Chatre – France has 4 drying chambers with a drying capacity of 500m³. Furthermore our yard in Cherniakhiv – Ukraine also has 4 drying chambers. Here the drying capacity is also 500m³.